24 February - 20 May 2018. "Chambers' work is strikingly relevant because he takes the familiar and puts it on a bigger scale. The personal and the universal are stories closely weaved and inextricably bound..."
The Heong Gallery announces the UK presentation of The Court of Redonda, a major solo exhibition by Stephen Chambers RA, following its highly acclaimed unveiling as a Collateral Event of the 2017 Biennale. The Court of Redonda is a vast collective portrait of an imaginary court of maverick and singular individuals. The installation of 101 paintings articulates the role played by artists in envisaging a world not how it is, but how it could be. Curated by Emma Hill, The Court of Redonda was made over a two-year period that coincided with Britain's referendum about leaving the European Union and touches upon themes of identity, heredity and nationalism. She says, "The Court of Redonda is woven from a story about an uninhabited place, which writers and artists have envisioned. It is a work about the collective human spirit. The expression of the necessity and freedom of creative imagination, for art's ability to reflect to us the moment we are living in and for an individual artist's statement to carry the weight of this, is at the heart of images Chambers presents us with in the faces of his imaginary courtiers." Stephen Chambers was elected to the Royal Academy of Art, in London, in 2005 and was awarded an Honorary Fellowship from Downing College at the University of Cambridge in 2016. 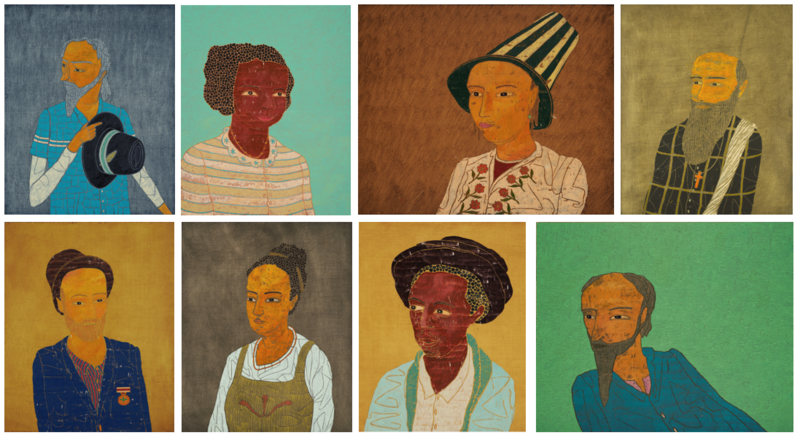 The Court of Redonda was shown at the Venice Biennale in 2017 and followed solo exhibitions at the Royal Academy, London (2012) and the Pera Museum, Istanbul (2014). The exhibition is accompanied by an illustrated catalogue with essays by Emma Hill, Dr Rod Mengham and Kathleen Soriano.